Certainly you only want positive customer reviews. Internet-savvy shoppers read reviews to make buying decisions. Reviews can make or break you. Negative reviews can be posted just about anywhere – Google reviews, social media and Web sites. Bad word-of-mouth and Internet advertising is a killer. So it behooves you and your business to spot bogus reviews and fight back. With valid negative reviews you need to respond with the customer in mind. You should get a broad overview of your customer reviews. For instance, check Amazon reviews, your Facebook business page, Google reviews, Quora, Yelp reviews and testimonials. Sign up for Google alerts about your company to monitor blog reviews. Google your company’s name to see what is said about your business. Look for consistency in trends and authentic experiences. Stars can be an indicator about your company, but they don’t tell enough of the reviewers’ comments. Sometimes reviewers write negative comments for totally irrelevant reasons. You should totally understand each review and then respond appropriately. If you suspect a bad review is bogus, first research the person online. For example, does the person own a competitive business? What has the person said about other businesses? If you’re sure the review is bogus, be businesslike but call the person on it. You must respond to every negative review. Be diplomatic with negative reviewers, but state your case. It’s a good idea to acknowledge and show appreciation for good reviews. You’ll be rewarded with repeat business and will influence other shoppers. 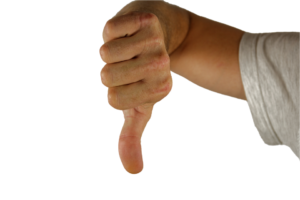 If you’re under siege with valid negative reviews, here’s a hint: 70 percent of those customers are unhappy because they feel your business took them for granted. Valid bad reviews can be a blessing. Many times unhappy customers won’t complain and simply will buy from your competitors. Thank these people. Empathize with the reviewer. Try to make amends. An apology should be an effective tool to sustain or rebuild a business relationship. However, sometimes apologizes don’t work to improve damaged relationships. Use best practices to make an apology. If the complaint is about poor customer service, upgrade your processes. Train your staff. Bury the negative reviews by stepping up your online content marketing and encourage good customers to write reviews. 14 Tips to Profit from Online Customer Reviews For competitiveness and profits, businesses can’t afford to ignore the potential of online reviews. They’re a factor in revolutionizing commerce. Will Court’s Bad Review and Studies Slap Yelp into Using Best Practices? — Can we expect a new standard in online consumer reviews? Hopefully, yes, after Yelp’s 2014 court loss and studies that reveal many Yelp’s consumer reviews are bogus. Your Best Source for Business Advice: Your Customers — The new economy – with a highly competitive marketplace – is making it becoming harder and harder to for businesses to sustain growth. So customer engagement and word-of-mouth advertising have taken on an increasing importance.